Becky Lynch Wrestling While Injured? 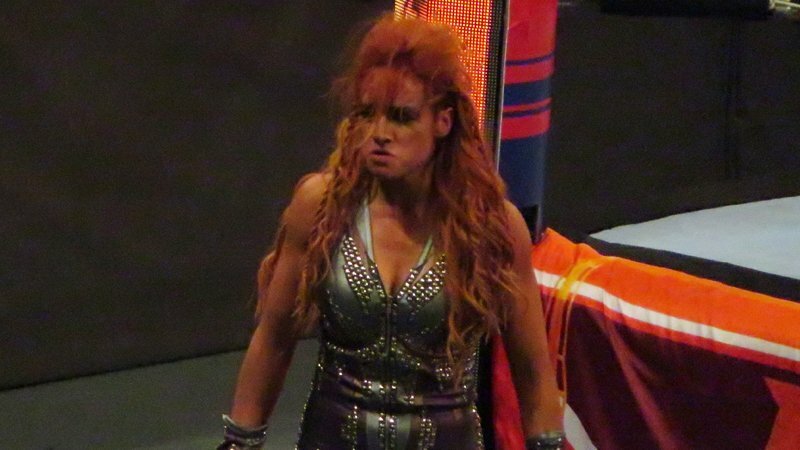 According to a report from Dave Meltzer of the Wrestling Observer Newsletter, WWE SmackDown Women’s Champion Becky Lynch has been working with a cracked jaw. Not many details were fully elaborated on other than the injury itself, as Lynch has wrestled twice in major title matches recently against Charlotte Flair. She will defend the Women’s Championship against Flair in a Last Woman Standing Match at WWE Evolution, on Oct. 28. Marty Scrull, Andrew Everett, and Jonathan Gresham are the second, third, and fourth new additions to the 2018 Survival of the Fittest Tournament. They will join Tracy Williams, who was announced earlier in the week by Ring of Honor for the one-night event. The second entrant in this year’s tournament is one of the most popular stars in Ring of Honor and around the world despite being one of the most villainous competitors, ever! “The Villain” Marty Scurll enters this year’s Survival of the Fittest tournament! Marty Scurll made an instant splash in ROH when he defeated Dalton Castle in his very first ROH match and won the ROH World Television Championship in just his third bout! Since then, Scurll has ascended to the top of the card, headlining Supercard of Honor and Best in the World. But, with losses in ROH World Championship matches at those events, Scurll must start from the bottom and climb up the ladder once more. In one night, Scurll can obtain what he craves so badly, another shot at the ROH World Championship. Will he emerge from the field of international competitors and become the number one contender? Join us in Columbus or stream Survival of the Fittest LIVE for HonorClub to find out! The third entrant in this year’s tournament is a returning star last seen in ROH in 2015. A 2014 entrant in the Top Prospect Tournament, Andrew Everett returns for Survival of the Fittest after three years of traveling the world to show ROH fans that he is a top contender for the ROH World Championship! Since Everett was last seen in ROH, he has captured championship gold in RevPro, Pro Wrestling Guerrilla, and many other organizations across the globe! Trained by Matt and Jeff Hardy, Everett was 15 years old when he made his debut in 2007 and at just 26 years old, has over a decade of international experience under his belt. Everett’s high flying style makes him one of wrestling’s biggest risk takers but those risks have seen Everett pick up victories all over the globe with his stock rising every step of the way! The fourth entrant in this year’s tournament was already one of the most talked about technical wrestlers in the world but has seen his stock rise perhaps higher than anyone ROH in 2018. “The Octopus” Jonathan Gresham is the fourth entrant in Survival of the Fittest 2018! A master of the Pure style of wrestling, Gresham has a hold and a counter for every move. In an Iron Man Match against World Champion Jay Lethal, Gresham scored the first fall and under conditions of a normal match, would have become ROH World Champion. The two have formed a bond and a mutual respect that has seen them compete in tag team competition, even picking up a win against The Young Bucks!